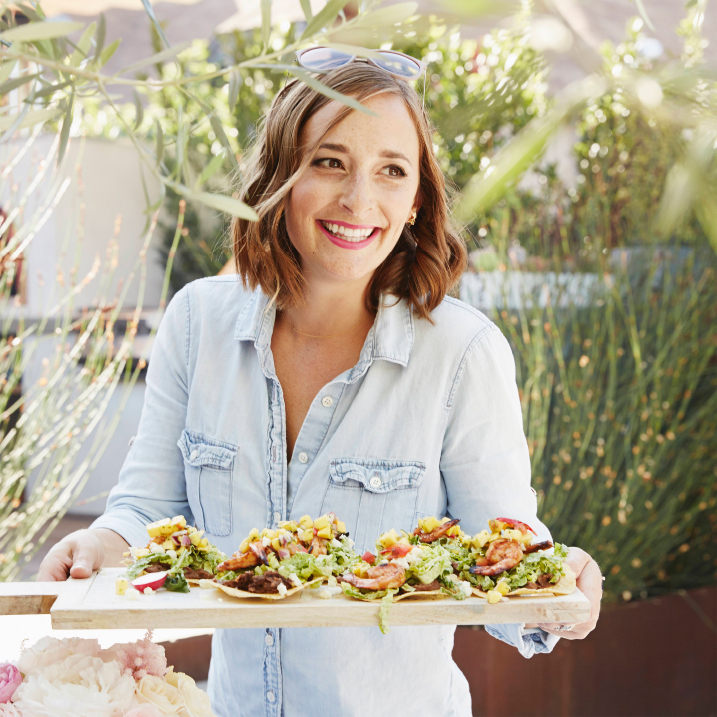 The Beauty Philosophies series merges my love for beauty, food, and wellness. I want to get practical and demystify how some of my favorite women think about beauty and health -- and how it all meshes together into one whole, raw, beautiful life. Hi!! So pumped to be here! My name is Gaby, I’m a food blogger and cookbook author and salsa snob. I just came out with my first product line - a LINE OF SALSAS!!! And I’m just finishing up my 2nd cookbook. Hummus and Cucumbers if I need something quick. Otherwise a roasted salmon with salsa and avocado! I actually only wear makeup whenever I go on camera, so I keep my routine pretty simple. I use a sonicare every night and my facialist Francesca Paige has a line of cleansers and lotions that I use and then that’s it!! What advice do you have for people who want to start their own business, make a living off of their passion? Find your voice, determine what you want to do and then go for it!! No one else can capture your voice, your story and your outlook so it’s really important to be super clear on what you stand for! Be yourself and play to your strengths! You are so beautiful with a very infectious smile. How do balance your love of food with style, beauty, and staying fit? Omg I spend a LOT of time in the gym. I have a trainer that I go to 3 times a week and I got rid of my car a few years ago so I walk everywhere. That way I can eat whatever I want and still stay in semi decent shape! What does it mean to you to live in the moment and how do you do that day to day? I think it’s so important to really appreciate what you’re doing in the moment and soak it in. Time flies by and it’s really important to relish in exciting things as they happen. Sometimes I actually put my phone down and just live. For example when I’m on a date with my husband, when I’m hanging with friends, etc. I love to soak up that time because I know 2 hours later I’m going to be glued to my snapchat for 3+ hours after Friday's snapisode! What does happiness look like for you? Family, friends and food. All of them together in one room. It’s everything to me. And last, but not least, what is your beauty philosophy? Keep it simple and a great smile is better than any amount of makeup! Where can people find you on social and the internet? Thanks so much, Gaby! And ya'll, seriously check out her snapchat. It is SO entertaining and she hosts full blown snapisodes with recipes in real time. Have a beautiful week, friends.